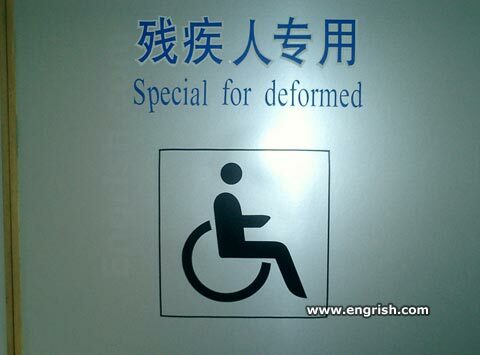 From my friend Hudson Marquez: this is how our Chinese hosts will greet the disabled. Thanks for checking in even though there hasn't been a new blog here for a while. I swear, I'll strive to do better in the future. This just in...check out a wonderful new book called "NOT QUITE WHAT I WAS PLANNING." It's a delightful compilation of six-word memoirs put together by the editors of the on-line magazine, SMITH. See, Ernest Hemingway was once asked to write a story in six words and three drinks later, he announced..."For sale. Baby shoes. Never used." So, the SMITH people began to solicit six word life stories from both the famous and the obscure. Ergo, this book. If you're just thumbing through it in the bookstore, mine is on page 92, right before Harold Ramis's. For more info, go to http://www.smithmag.net/. Then sum up your own life in six words and send it to them for the inevitable volume two.